Bought and Liked | New Room Bits | emma etc. Recently I went through the (seemingly very frequently) rearrange of my bedroom, and this time I have a few things I've bought (that are easy and cheap) to incorporate into my room. 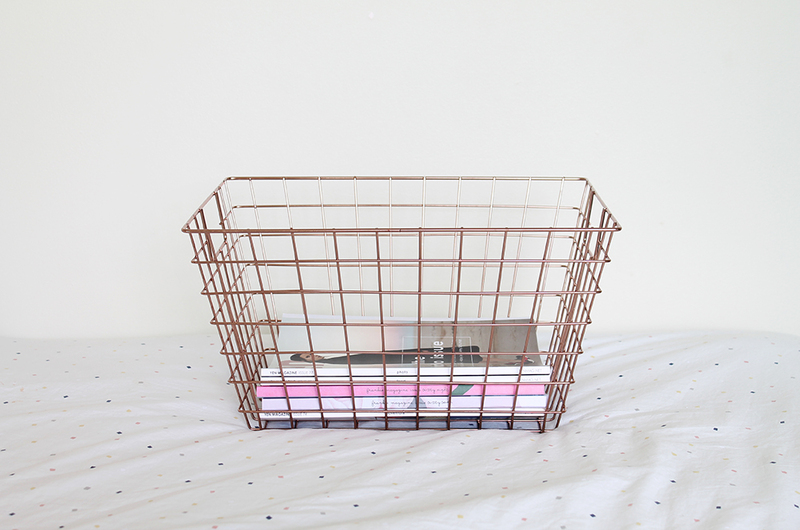 I have been a fan of copper things ever since everyone has been harping on about them, but this is my first copper item I've bought - this copper wire basket from Kmart. It was $12 I think and good quality. At the moment I'm putting the magazines I need to read in it. I didn't exactly have a purpose for it when I first bought it, but any suggestions? 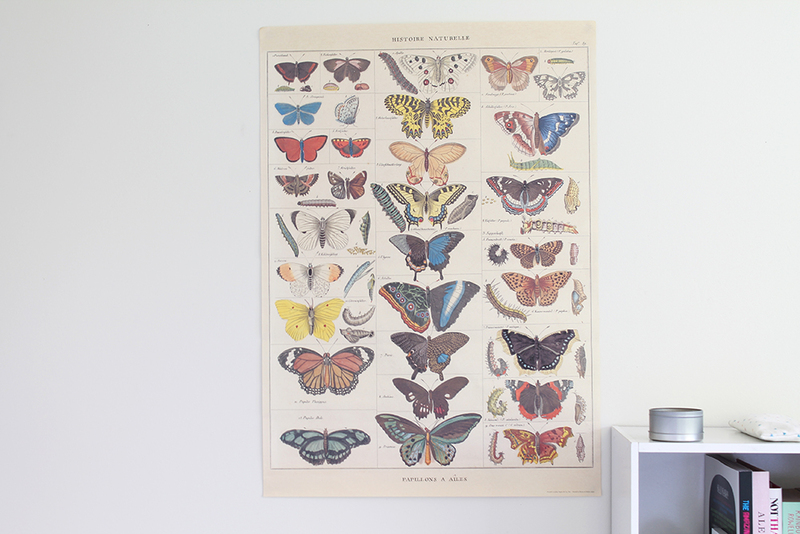 I also bought this lovely butterfly history poster from Auckland Museum - as you would have seen in my last post, I visited the museum. This was $10 and that's surprisingly a good price for a gift shop, really! The poster is printed on really nice paper - apparently on Italian paper as it says in small writing at the bottom. They had a few nice ones and my friend picked up a really pretty bird one. 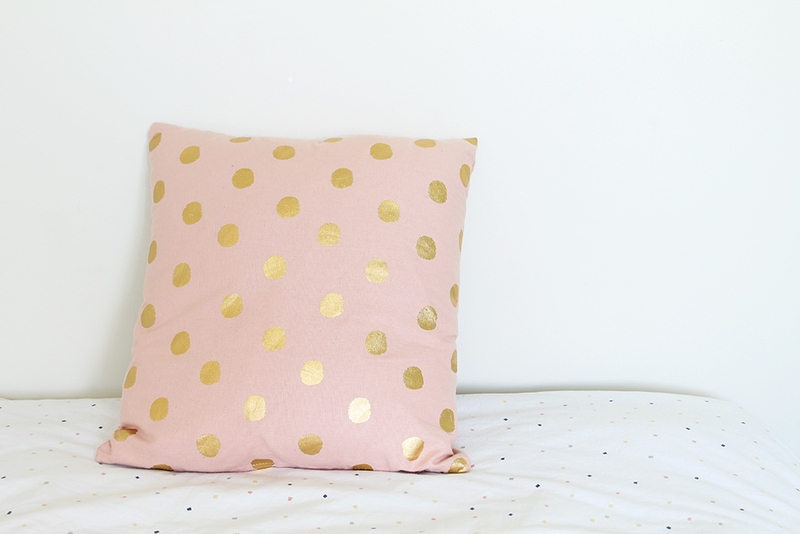 In a previous trip to Kmart I picked up this pink and gold spotted pillow. I love gold things as well as this shade of pink. I thought it was cute and added a little something extra to my bed. It kind of matches my current duvet too.